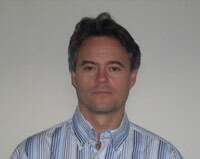 Dr Attila Szabo graduated as a medical doctor in 1988 at the Semmelweis Medical School, Budapest, Hungary. After completing his undergraduate studies he worked as a medical officer at the trauma and orthopaedic unit in a regional county hospital between 1988 – 1991. Working there he was exposed to the basics of orthopaedic medicine and decided to specialize in orthopaedic surgery. Following a colleague’s invitation Dr Szabo moved to Johannesburg, South Africa in 1991. He took up a registrar post at the Department of Orthopaedics at WITS University, Johannesburg in 1994 and graduated as a specialist orthopaedic surgeon (FCS Ortho) in October 2000. Dr Szabo worked as an orthopaedic surgeon in private practice in Johannesburg before moving to Cape Town in 2005. He initially joined Dr. Mike Scher (specialist hip and spine surgeon) as an associate before opening his own private practice at Mediclinic Cape Town and more recently at Netcare Blaauwberg Hospital. Dr Szabo's special interest in spinal disorders and spine surgery started after becoming the full time surgical assistant to Mr. Leonard Nainkin, a spinal orthopaedic surgeon at the Linksfield Park Clinic, Johannesburg. Dr Nainkin was one of the pioneers of spinal surgery in South Africa performing posterior fusion and fixation of the lumbar spine with his own designed plate-screw instrumentation before other pedicle screw fixation systems became available on the market. Dr Szabo continued to work with Dr Nainkin before relocating to Cape Town and participated in more than a thousand spinal surgical procedures — anterior and posterior surgery of the cervical, thoracic and lumbo–sacral spine for traumatic, congenital, degenerative, neoplastic and infectious conditions and on many occasions corrective/reconstructive and revision spinal surgery. Dr Szabo has completed a Fellowship in Spine Surgery at the Orthopaedic Spinal Services Unit at Groote Schuur Hospital, Cape Town. Headed by Professor Robert Dunn, the Spine Unit is a tertiary referral center for patients with spinal problems from all over the Western Cape and beyond and the fellows have great exposure to treat complicated surgical cases with spine injuries, infections and degenerative spine conditions. Dr Szabo is a member of the South African Spine Society (SASS), the North American Spine Society (NASS) and the South African Orthopaedic Association (SAOA).